I haven’t blogged for awhile, but I’m back. So what, you are asking, have I been up to? Well, for one I finished the quilt for Aaron and Vanessa. 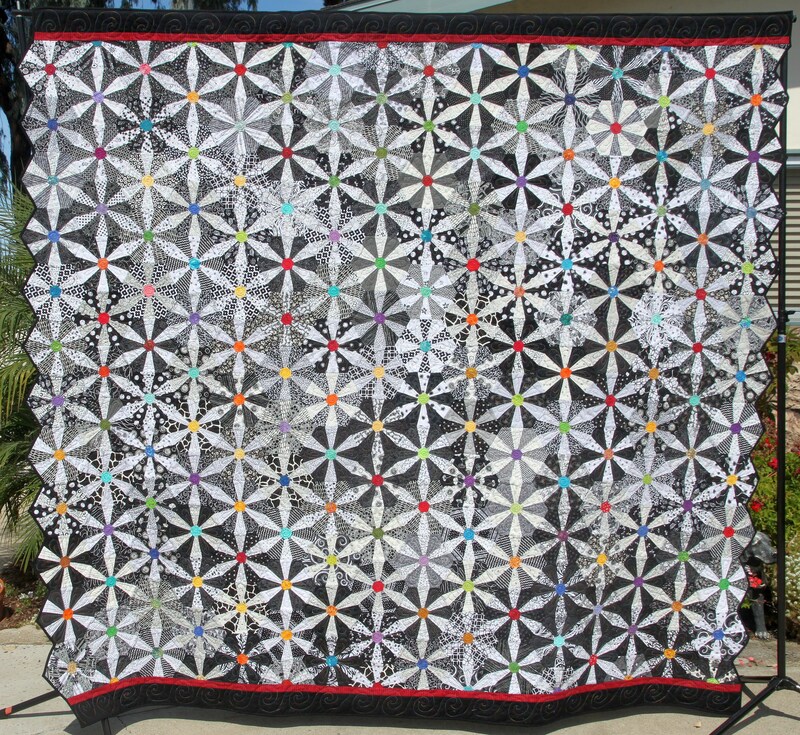 I named it, “Stars to Light Your Way.” I finished it by the hair my chinny chin chin in time to submit it to the San Diego Quilt Show the first of September. I was so excited to have finished it. I gave it to them and they were enjoying it, not knowing that I entered into a judged show, “Road to California”. Well, I got into the show, which is not an easy thing to do. Yes, they had to return it to me because now I have to send it to the show. The show is in Ontario, California, the last week of January. One of these days they will finally get it to keep. But they are excited for me and they are being really nice about it.